Most, if not all of us are familiar with one of the most popular books of all time, the Holy Bible. We have large sanctions of people who live their lives from the knowledge and guidelines in the bible and take the bible as a sort of manuscript for where we came from, how we should live, what happens when we die and what we should do with our time here on Earth. The bible makes a promise that if you accept Jesus Christ into your heart, follow the rules given and live a life as free of sin as possible, then maybe God will let you into heaven. This is the widespread belief of Christianity, Catholicism and many other sanctions of those major world religions. However, increasing evidence brought to light from various historians and skeptics show that there was a lot of information that was not only left out of the bible, but disinformation that was deliberately added to the bible after the new testament was released. Did Jesus Christ Really Die On The Cross? I recently watched a fascinating short documentary put out by the BBC called, Did Jesus Die On The Cross? That made claims that Jesus actually did not die on the cross after being crucified as many believe as the official story. Instead, historians point towards many missing holes in the bible, particularly between the Old and New Testament and much of the conflicting information leads towards the possibility that Jesus never actually died on the cross. Some skeptics say that Jesus was not resurrected after dying on the cross, but instead resuscitated, which wasn’t something that people during that time saw very often, (if not ever because we didn’t have knowledge of CPR or any shock paddles to essentially bring people to life back) then and continued on to live a full life. There are many records discussed in the film that point towards the possibility that Jesus actually went abroad to India, Nepal and the Himalayas and lived among Buddhist monks before and after his alleged crucifixion. Whatever the true story is — it seems clear that the mainstream accepted belief of the events of the bible should be more closely looked at, because there is more evidence pointing towards the fallacies in the bible than the bible’s version of what really happened. Taking the Bible, and it’s stories literally certainly is something we should be weary of. Now, this is where things get really interesting, but also perhaps very uncomfortable for those who follow the Christian faith because reincarnation is certainly not a part of that belief system. Given then, it must be noted that there is quite a bit of evidence that points towards a large percentage of early Christians who did accept the idea of a cycle and rebirth on earth. This was around the period of 0 AD to 500 AD, it was during this time period that the stories of Jesus Christ were written down by hand and passed down to future generations. During this time, the bible as we know it had not been written and put together in it’s whole form. As the story goes it was 367 AD that the Church Father, Athanasius, designated 66 books that together formed the church canon, essentially the only books that were included in the religious structure and to be recognized by the church. Upon the discovery of these crucial and important documents listed above, scholars have been able to confirm that Gnostic Christians also believed in reincarnation. At this time they didn’t have the label of Gnostics at all, they were just Christians who followed the message of Christ and just so happened to believe in reincarnation. Unfortunately, later on these ideas were persecuted by the Christian Church. If at the very least this causes you to raise an eyebrow and continue researching this topic then great! There are a lot of missing holes in this story that billions of people worldwide have essentially just accepted as truth without actually asking many questions about the subject. Having faith can be a great thing for many people, for others knowing the truth is more important. To believe the official story of the bible without questioning anything is very credulous, especially when there is a ton of research with alternative stories of what actually happened with Jesus Christ and what his message was really about. All religions essentially point towards the same thing, to love ourselves and love one another, assist those in need, and live a life of service. 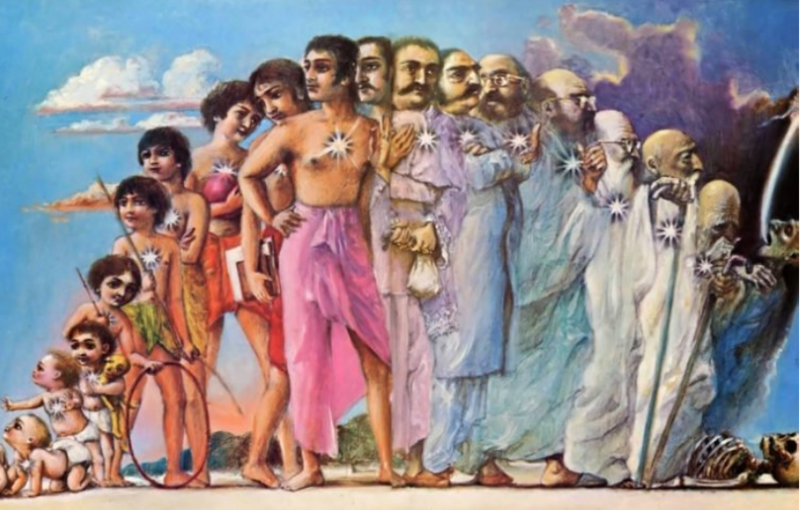 Adding reincarnation to Christianity makes it even more similar to many other world religions.